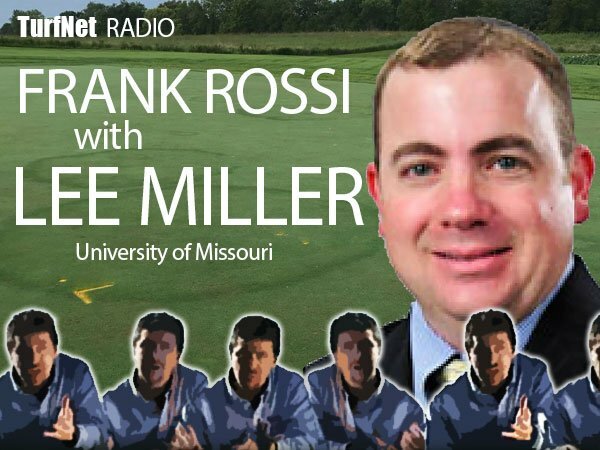 Recorded shortly after the PGA Championship at Bellerive, Frank chats with Lee Miller, PhD, associate professor of plant sciences at the University of Missouri about the wacky seasons of 2018, starting with three snow events and then 90 degree temps in May, in St. Louis. "We can grow any type of grass we want here in Missouri," quipped Miller. "We just can't grow any of them very well." Both warm- and cool-season grasses were subjected to weather extremes for which they were not acclimated. Heat, cold, rain, humidity, and drought were all encountered at one point or another. We can grow any type of grass we want here in Missouri," quipped Miller. "We just can't grow any of them very well." They talk roots, irrigation with wetting agents and fungicide efficacy, irrigation audits, moist blankets from humidity, black layer, the Polar Vortex and NTEP trials, increased disease susceptibility in warm season grasses grown farther north, and a whole bunch more. Listen in... a fascinating conversation. Presented by DryJect and Civitas.